In this era of start-ups and entrepreneurship, there are lots of people owning a small business or involved in freelancing. Hence, there remains a constant need for finding a proper workplace to perform tasks delicately without any hindrance. Working from home or café cannot always be an option because it gets distracting and frustrating beyond a certain point. You will need a space where you can work devotedly. The idea of Coworking spaces is to exactly give you an ideal environment where your work efficiency can be at the peak. 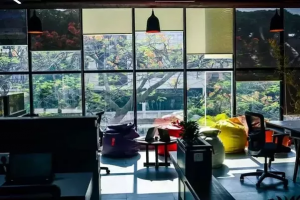 It is an office space shared by a diverse group of freelancers, small business owners, entrepreneurs etc, especially to be in an inspiring surrounding. Each worker rents out his or her own desk space and enjoys the services of Coworking space. 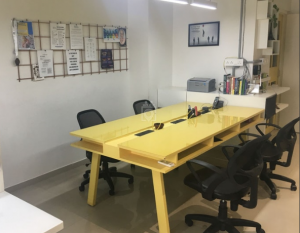 Ahmedabad has many such Coworking spaces that can tune your concentration towards your work and keep you devoted; which you can choose as per your convenience, price, and location. This place has all the latest amenities with the vibe which is fresh and lively. Located in the center of Ahmedabad, space gives you a beautiful sight of the city to escape your Monday Blues. The best part here is a recreation area; it’s a setup against a full window pane which gives the view of the biggest crossroad of Ahmedabad. 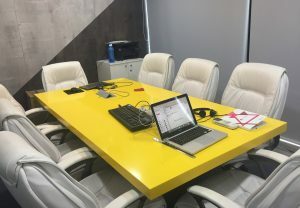 Plain desk: per hour 150INR, per day 500INR, per week 2000INR, per month 7500INR, 3months 7000 INR, 6months 6500 INR, per year 6000 INR. 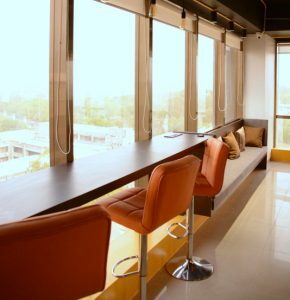 The Address is a coworking place which not only gives you a space with awe-inspiring views and desired location. Their infrastructure and the community will give you a sense of completeness over a work platform. It is situated on the 22nd Floor, with the area spread over 20,000 square feet and 3 floors, It even provides specialized branding for your company, The environment here is user-friendly and even has gym & relaxation areas which help you to get away with the boredom. Also, you have the flexibility to work as much as you like within 24 hours they do not bond with time. what more you can ask for in a co-working space like this. Sspacia is located in the heart of the city Ahmedabad, i.e. CG Road, wherein entire city is easily accessible to everyone. 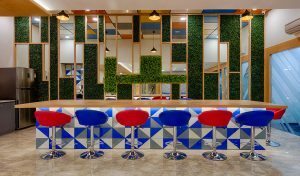 This coworking space was made with the aim to make every co-worker feel as if they working in their own office. Sspacia offers all amenities for your corporate office needs includes best-suited furniture along with access to the office for 24×7. They have a vast collection of books in their library for every coworker. Also, they have kept the variety of board games for refreshments. They have build a mixed culture wherein people looking for private cabins can take private cabins of different size. 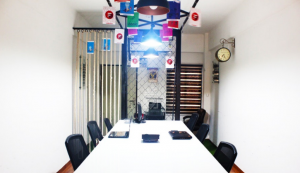 At the same time, they have a shared space wherein 26 people can share their offices with other persons/companies. 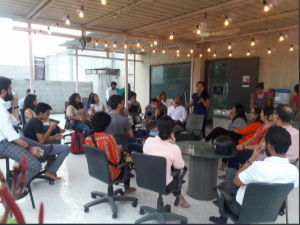 They are trying to create a knowledge sharing atmosphere at Sspacia coworking for which they keep organising certain events for their coworkers that are educational and sometimes entertainment. Amenities: Library, Personal Lockers, Podcasting Room, Free Coffee/Tea, Kitchen, CCD Beverages, Photocopier and Printer facility, Sound and video recording Equipment, Events workshops, Lounge/ Chill out Area, board games for refreshments. 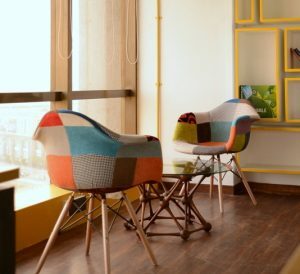 The coworking space, Paragraph, offers a colourful and motivating environment for you to work in a shared office space. It is located in one of the iconic corporate parks Mondeal heights. The ambience of the place is very fascinating and the environment here is very positive to work and get innovative ideas for your business or start-ups every now and then. Along with all the basic desk options like plain, dedicated and private desk they have added some unique and beneficiary options for you. An Hourglass Chalet option is one of those unique offerings where you can have a private office space for your client meetings by paying just for the meeting time. They even have a custom build out office option where you just need to tell them what amenities you want in your office space or on your desk and they will customise your working space accordingly. 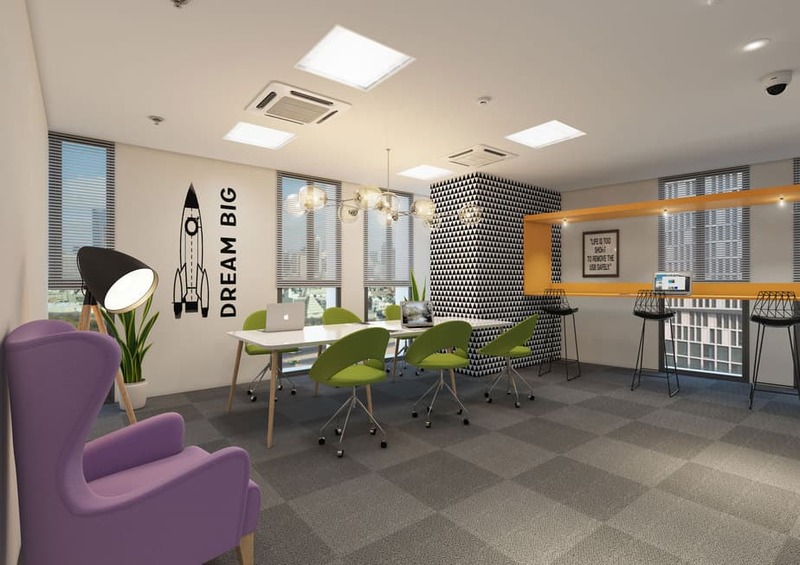 Spaces provide you with a coworking space which has a clutter-free environment that enables you to get your work done. Most of the coworkers here are tech developers, consultants, and freelancers who help enable a focus-friendly and pleasing environment. 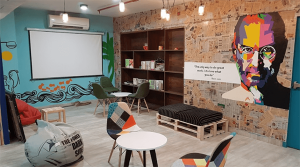 This is a small coworking space with lots of positivity, All the coworkers here connect, collaborate and inspire each other maintaining the positive vibe of the office which differentiates them from others. Don’t want to hunt for your desks every morning? not a problem as they pay attention to the seating, the tables keeping you away from the hustle so you can start fresh with the work. They are relatively flexible so if you’ve got space to requirements that don’t match they just have a talk with them to see what can or cannot work out. Guys! they are even planning to have a potluck lunch on Friday’s soon! At 5B colab work-space culture is a great balance between professional and informal. They like to keep space casual but strictly professional when it comes to working. They have gathered a vibrant community consisting of professionals from all vivid backgrounds over time. 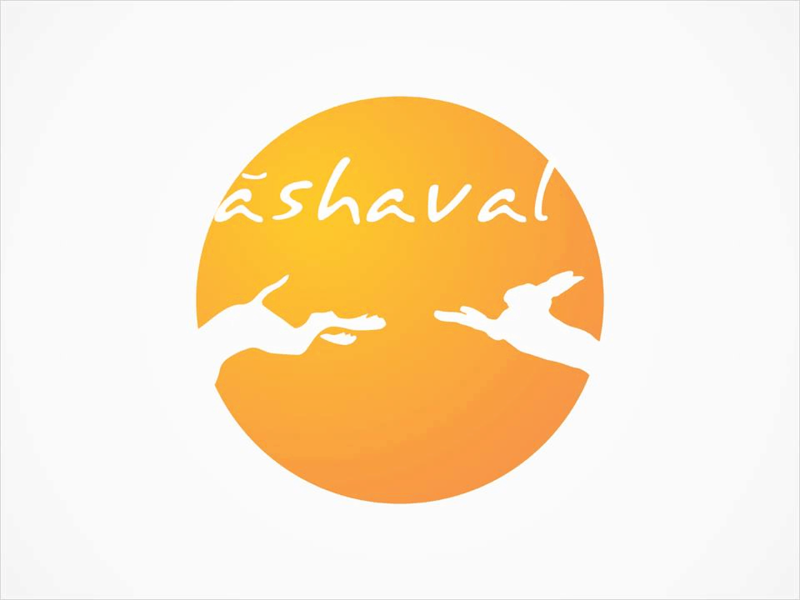 Not only they have networking events, grooming sessions but also arrange frequent parties so that you can relax and stay connected with people They have encouraged intellectual exchange by providing the right kind of working atmosphere. 5Bcolab take care of their members and nurture a healthy relationship with them while giving them access to the best possible services. Working Company has established a community of lively co-workers over the years. Located near the lovely area of Sabarmati River, the place is set with large windows that allow plenty of natural lighting. The atmosphere here is friendly, with a lot of creative people working together. The Working company not only offers the old boring desks but also gives you the option of couches, to make you feel more comfortable. The best part about this company is that they also conduct many events and workshops, which you can know about on their Facebook page. 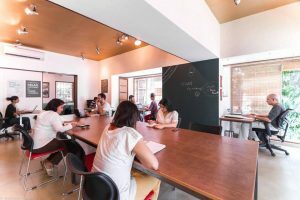 Looking for a workplace which is simple and subtle, not much fancy than this coworking space is for you. Uncubate fits perfectly for all who are into serious business or profession and need a moderate yet engaging space to work. With all the basic facilities and amenities, a simple décor with white walls & great natural lighting adds to the charm of this place. 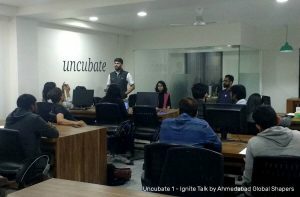 There are different types of companies, startups, freelancers or agencies working from uncubate & conducting their meetings here. Tea parties and snacks are the little highlighters here. Amenities: free tea/coffee, free internet, photocopier, printouts, lounge/chill-out space, free parking space. 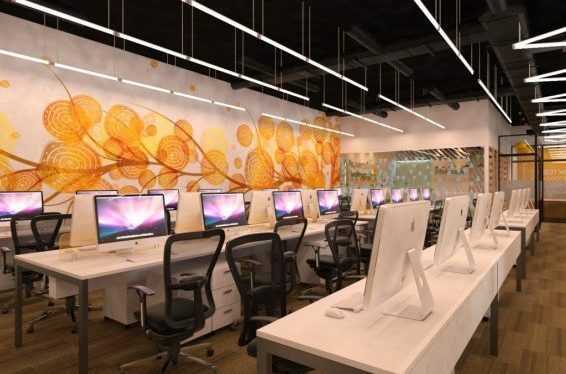 DevX is not just space, it provides a state of the art & spacious open workstations along with other amenities. and here is the best thing they even have a dedicated lounge area & a breakout zone too to help you de-stress at regular intervals. 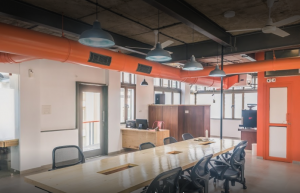 They believe that the foray into Co-working space is not about venturing in the real-estate industry, but to redefine the work culture among the Startups and SMEs of Gujarat. They have laid out a fostering environment for the businesses and not just a desk. DevX primarily an accelerator and not just a coworking space. They have a strong network-community. Here you can get access to the increasing community of startups, mentors, and investors. A wide range of startup events will help you co-learn with the community. Next57 has created a fun work environment for its co-worker. Talking about the interiors, the place is given a very professional look with wooden furnishing and glass doors, comfortable seating arrangement and a peaceful environment. They aim to concentrate on the entrepreneurship growth leading to job growth, which can overcome a major challenge of leading countries. Along with a dedicated desk and private office, Pravel Coworking Space can also provide a virtual office. Now, what is a virtual office? A virtual office is a service that enables employees and business owners to work remotely. It also enables organizations to create and maintain a presence in a desirable location without the need to pay rent for an actual space. 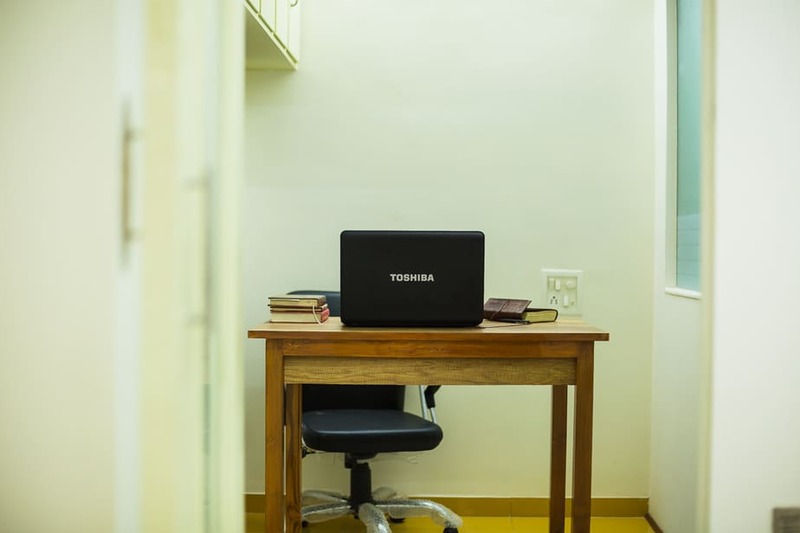 Virtual offices operate without a physical office address, and all internal and external business processes and communication are performed via the Internet. Workingcube has a lively vibe and interactive community that lends itself well to productivity and creativity. 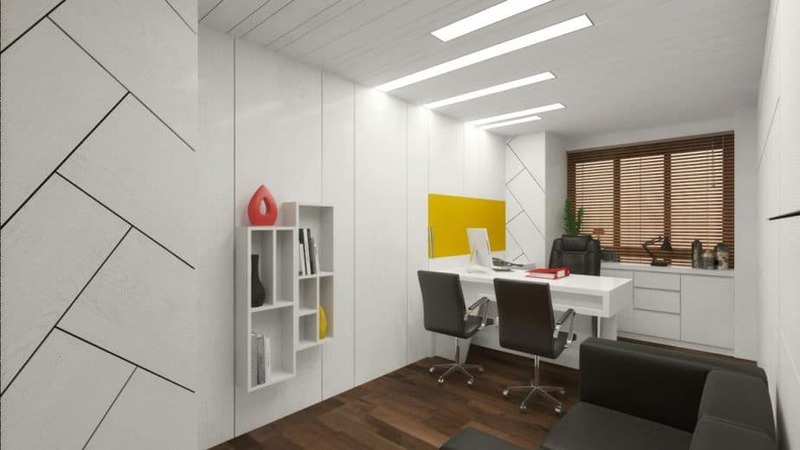 It provides affordable office space and co-working space in Ahmedabad. Space works from 9 AM to 11 PM giving you long working hours without paying any extra amount. The place also has full-time security service, especially keeping the women at their desks safe. You can even use the kitchen to cook quick meals like Maggie and make coffee or tea for yourself. This is not it, a fantastic terrace to take a break and relax adds some colours to your working life. And if that is not enough they even have an AppleTV and PS4 for weekend entertainment. DoubleO has a huge community of makers, thinkers, creators and entrepreneurs. They provide you with a soulful and peaceful workspace. The community gives you access to some of the coolest people in the city, with invaluable mentoring from experts. They even provide access to a library. Wait this is not the end, DoubleO also arranges networking events and not the monotonous corporate set. Once they had organized an event with many artisans and folk dancers making a stunning fusion of art and business. 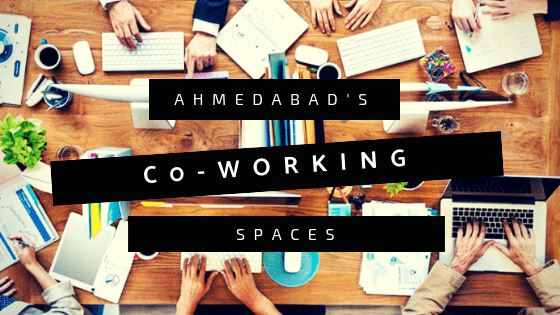 This is a small yet cool coworking space in Ahmedabad. The Hub has a small area and can accommodate 14 people to work. Whether you are a Startup, freelancer, random workaholics or creative boomers everyone holds a space here. The Hub co-working space introduces you to an indulging environment so you can totally engage yourself in your futile work. 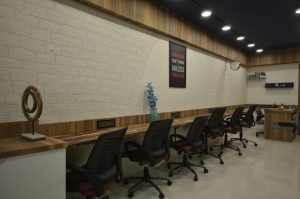 Daftar is a simple yet engaging coworking space at IIM Road. It has a range of workspaces which includes premium furniture and ergonomic chairs, sufficient storage space and much more. 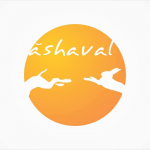 This coworking place is designed ergonomically in Gandhinagar the gifted city of Gujarat. It holds the office on the Fourth Floor of the GIFT One Tower. Are you worrying about the distance? You don’t need to as multiple means of transport are available from Ahmedabad through SG highway. A premium working environment at Instaoffice gives an access to a cafeteria on the ground floor of the building and has all mandatory safety installations related to fire and has sufficient power back sourced from the power source for the entire SEZ. The center is dominated by open workstations beautifully aligned to preserve the sense of privacy amidst a bustling, vibrant community. Famedesk is a beautiful place for service providers and a meeting venue to attract new customers. The place is been used by some amazing startups. Note: The prices of these coworking space are per our research it may change over the period of time.